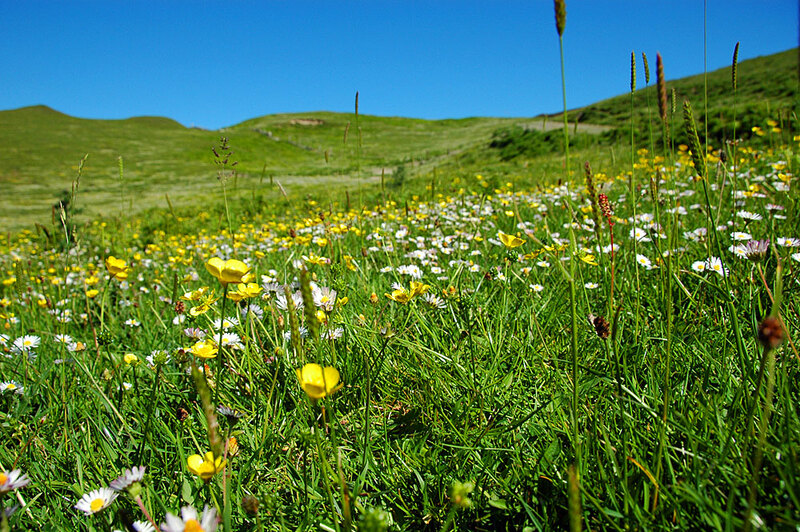 A summer view on Islay, the machair near Machir Bay. While not as extensive as in the Outer Hebrides there are areas of machair on Islay, mainly around the Machir Bay and Saligo Bay areas. A machair is a fertile low-lying grassy plain, usually very colourful during the spring and summer. This entry was posted in Landscape, Repost, Sunny Weather and tagged Islay, Kilchoman, Machir Bay by Armin Grewe. Bookmark the permalink.